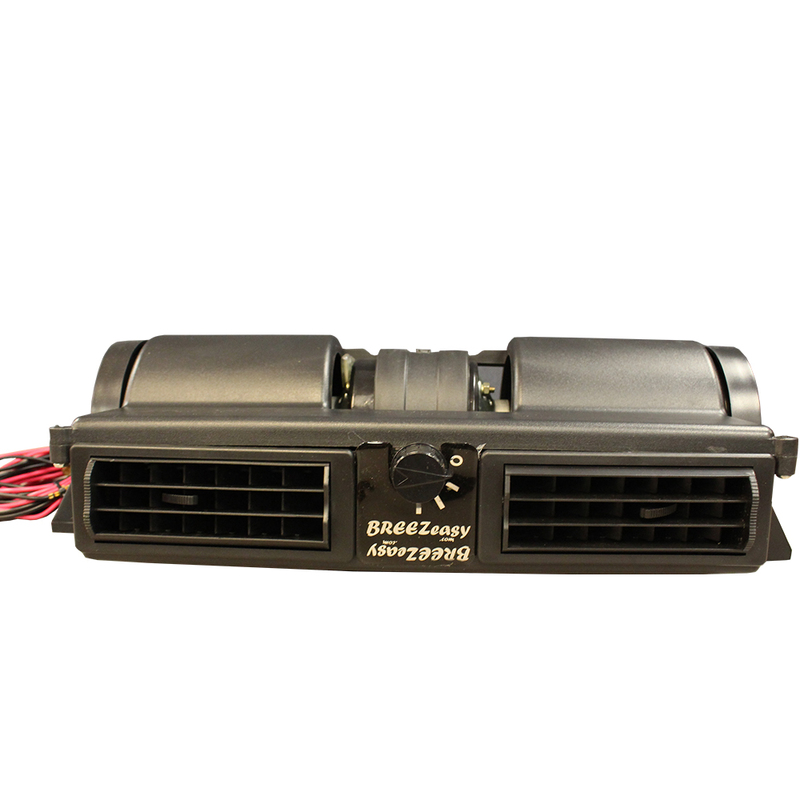 Breezeasy blower system, 24-volt. Mounts under dash or on the top. Puts out an incredible 310 cubic feet per minute, with maximum amp draw of 7.9 amps/12-volts. Has a 3 speed switch and automotive quality louvered vents. Comes with mounting hardware.